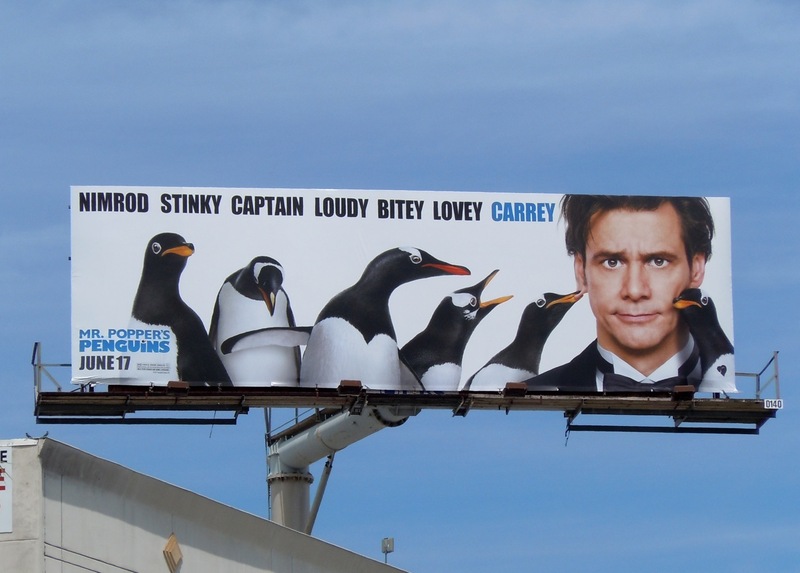 Even though Mr. Popper's Penguins saw Jim Carrey return to his talking-to-animals roots (Ace Ventura: Pet Detective, anyone? ), it didn't exactly set the box office on fire. With that being said, there's still something endearing and wonderfully old-school about the billboard for the recent family comedy (although maybe it would have fared better as a winter Holidays movie). 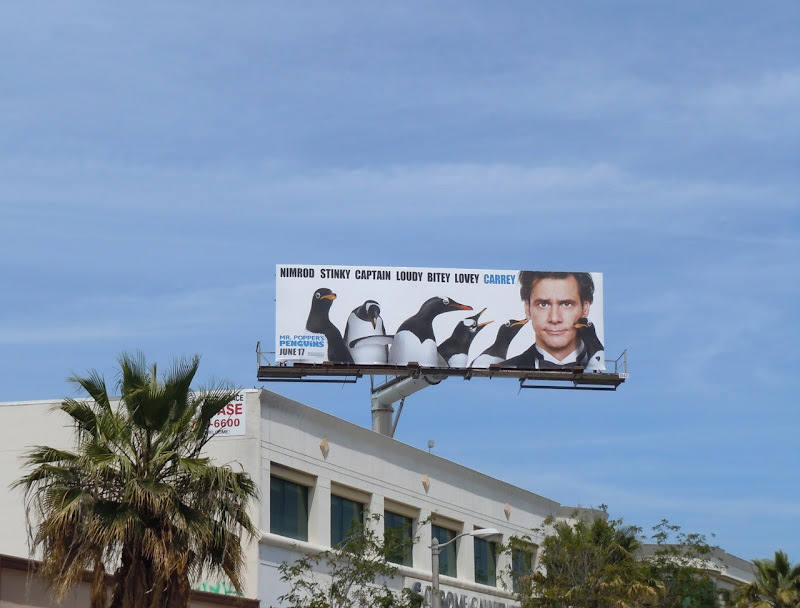 This fun billboard was snapped along Ventura Boulevard in Sherman Oaks on June 3, 2011.